Remember Theranos, the high-tech medical startup that falsely claimed to be able to conduct a battery of tests with a single drop of blood? The Wall Street Journal reports that, after years of legal hassles, it’s finally throwing in the towel and closing for good. CEO David Taylor informed shareholders of the move in a letter, in which he described the company’s efforts to try and sell itself over the past four months – but to no avail. Now, it’s in debt to its creditor Fortress Investment Group, which loaned the firm $65 million last year. As part of the terms of that loan, Fortress can foreclose on Theranos’ assets if its cash holdings dropped below a certain threshold. It’s now reached that point, and has no option left but to shut shop. That ends Theranos’ string of lies and deceit at last. The company was once valued at $9 billion, because investors fell for CEO Elizabeth Holmes’ spiel about its revolutionary technology. In 2016, its newfangled blood tests were found to be more inconsistent than standard ones, and it had to void results that went back two years after they were found to be inaccurate. In addition, Holmes was barred from operating test labs for two years at that time. But that didn’t stop the company from unveiling a new tabletop diagnostic tool for identifying illnesses including Zika. Theranos earned zero dollars in 2015 and 2016, and was sued by by its biggest customer, Walgreens, for hundreds of millions of dollars. 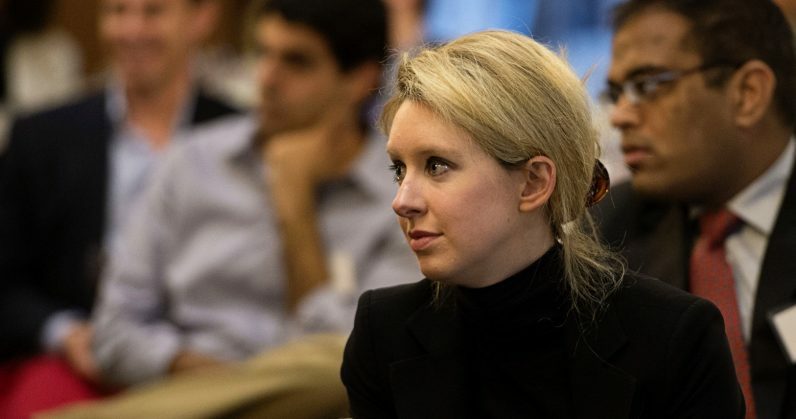 This March, Holmes was accused by the US Securities and Exchange Commission (SEC) of defrauding investors of $700 million with her false claims of what Theranos could deliver. Lucky for her, she was able to settle those charges with a relatively small penalty of $500,000 and without having to admit wrongdoing – but that also signaled the end of her high-flying career, as the terms of that deal stated that she wouldn’t be allowed to serve as an officer or director of a public company for 10 years. Holmes’ journey is the subject of Pulitzer Prize-winning WSJ journalist John Carreyrou’s new book, Bad Blood: Secrets and Lies in a Silicon Valley Startup. Carreyrou also filed today’s report that we’re sourcing this piece from; you’ll want to check it out to hear him recount his experience of covering Theranos’ and Holmes’ incredible story over the past four years in a short video.